(September 20, 2013) The Charlotte Regional Transportation Planning Organization (CRTPO) board voted on Wednesday to release the draft 2040 Metropolitan Transportation Plan (MTP) roadway project lists for public comment. These lists are the result of Tier 1 and Tier 2 evaluations described in previous news stories on this web site. There is a high probability that projects on the draft list will be included in the final MTP that will be adopted next spring. Two projects to widen NC Highway 160 (Steele Creek Road) appear on the Horizon Year 2025 list, which means that these projects are expected to be completed and open to traffic by 2025. They are not actually funded but are expected to be funded by 2025. The two Highway 160 projects are ID # 172: the portion from Shopton Road West to S Tryon St (Hwy 49) and ID # 173: the portion from S Tryon St (Hwy 49) to the South Carolina state line. The project lists are fiscally constrained, which means that projects make the list for a Horizon Year only if adequate funding is anticipated to be available to complete their construction by that Horizon Year. Projects listed under Horizon Year 2025 are anticipated to be completed during the period 2016 through 2025. Click HERE to view the full list. It is divided into five parts. Project funding (or Strategic Transportation Investments) is divided into three categories: Statewide Mobility (statewide projects, such as interstates), Regional Impact (to improve connectivity within regions), and Division Needs (to address local needs). Furthermore, CRTPO is in two regions and two divisions. So the roadway projects are divided among five lists: Statewide. Region E (Mecklenburg/Union), Region F (Iredell), Division 10 (Mecklenburg/Union), and Division 12 (Iredell). The draft roadway projects list does not include projects expected to be constructed by 2015 because those are already progressing through funding and construction processes. 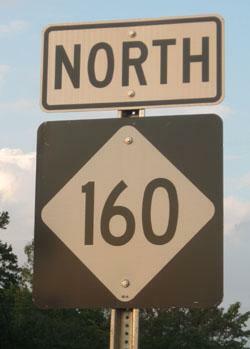 The two Highway 160 projects are on the Region E list. They are in as good a position as can be expected. Although they rank in the middle of the Horizon Year 2025 list for Region E projects, the order of a project within a Horizon Year does not matter, according to Nicholas Landa of CRTPO. Projects are simply expected to be completed sometime within that Horizon Year period. The total estimated cost of the two Highway 160 projects is $64.3 million in 2012 dollars. However, the estimated cost in future year dollars (when the widening is expected to occur) is $95.2 million. The I-77 widening was placed in the Horizon Year 2030 period because it will be very expensive and would bump many Horizon Year 2025 projects to later years. In addition, a lot of planning, environmental, and design work is required before this project could be constructed, which could push out the timeline for construction of this entire project anyway. It was considered to be more feasible to place Highway 49 in the 2030 Horizon Year time frame because not enough planning, environmental, engineering work has been done on the project to warrant constructing it sooner than the other projects in the 2025 Horizon Year. CRTPO officially released the fiscally constrained roadway project list for public comment beginning Thursday, September 19 through Friday, October 4, 2013. In addition, three Public Meetings have been scheduled to provide additional information to the public about the project list. To provide comments, please fill out the comment form available in the Public Meetings section on the 2040 Metropolitan Transportation Plan web page and return it to staff as instructed on the form. All comments will be compiled by staff and presented to the CRTPO Technical Coordinating Committee (TCC) and board for consideration. Ultimately it is the CRTPO board’s decision whether or not to make changes to the list, but a technical recommendation by the TCC could be made if compelling comments are received. All comments that are received throughout the Plan update process become part of the Plan documentation. They also help the CRTPO board and staff understand what the community priorities are. Since both Highway 160 projects are listed under the first available Horizon Year, prospects for their completion as early as possible will be best if their position on the list is not changed. Once CRTPO approves the 2040 MTP next spring, North Carolina DOT will evaluate the included projects to see which should be added to the statewide Transportation Improvement Program (TIP) (also called the Seven Year Plan) when it is updated, likely in late 2014.This process will determine which projects actually get funded. The Mecklenburg-Union Metropolitan Planning Organization, or MUMPO, is transitioning to its new name, the Charlotte Regional Transportation Planning Organization, or CRTPO. The 2040 Long range Transportation Plan is now called the 2040 Metropolitan Transportation Plan.